Since 2010 the number of earthquakes recording a magnitude of 6.5 or higher has risen, with over 60 happening over the last 12-months. From New Zealand to Japan, Indonesia, and other South East Asia nations, natural disasters should be part of the planning set for any business with valuable inventory and people to protect. Buildings across the globe are built to withstand the most violent shakes that the earth can produce, but what about the products within them? While a building engineer’s goal is to safeguard a structure from collapsing, they don’t take into account the product that each building houses. 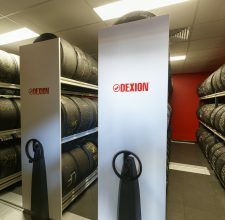 Dexion, global leaders in industrial storage and materials handling solutions, has brought to market a new product line designed specifically to reduce the impact of seismic activity, combating the challenges that any businesses located near fault-lines would want to manage and also providing that extra level of safety and business continuity protection for critical non-stop trading environments. 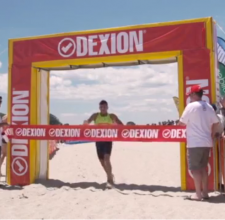 The need for such a range in the South East Asia and Oceania region was highlighted to Dexion in 2011 following the devastation of the New Zealand Christchurch earthquakes. It was through this that the company commenced consultation with a number of leading universities to develop a product that would drastically improve safety and product security. Through this research, Dexion met American company Ridg-U-Rak who were already exploring similar designs for the San Francisco market. Working together in this specialist area they developed and have now launched globally the Pellegrino Seismic Base Isolator. The range works by essentially removing products and racking systems from the ground to reduce the risk of the rack collapsing or product becoming loose and falling when the earth shakes. Ensuring product stays in its place during a natural event is particularly important says Stuart Macnab, Regional General Manager Australia & Hong Kong. “Pallets shedding their racking can be disastrous not only for the product but also for people within the warehouse or shopping complex. When we set out to bring to market this product, our number one goal was to improve the safety of employees and people who could be at serious risk should things start moving. “Once we started to explore the sector, we realised the depth of need for a product that catered to this specific issue. We currently work with a pharmaceutical company that distributes critical lifesaving products. The last thing we want in the event of a major seismic event is for critical supplies of live-saving medication to be disrupted, or for chemicals to fall and break creating a toxic environment that only worsens the impact of the event,” said Mr Macnab. “We’re also currently working with a New Zealand-based museum that is proud to house some of the world’s most beautiful and prised artefacts. We’re talking hundreds of years of history that would be lost forever if proper care wasn’t taken ahead of a disaster. “By installing the Pellegrino Seismic Base Isolator range they’ve been able to safeguard their treasures. They can also continue to build their collection as they can demonstrate to the art community that artefacts in their care are safe. 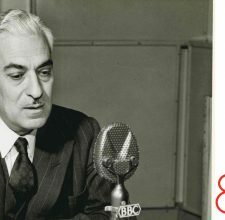 For us it’s an incredibly satisfying job knowing that we’re helping preserve such important parts of modern culture,” said Mr Macnab. The Dexion team sought inspiration for the above range through engineering techniques deployed by world-class architects in Japan. The idea being to replicate the logic seen in buildings where a combination of lead and rubber is used so that the building sways with the earthquake but is isolated to reduce the level of damage. Dexion is in the business of long-term customer partnerships and since rolling out this product, the company has worked with businesses across the globe to transform their warehouses for disaster-readiness. The company’s goal is to always create the right solution for the job. 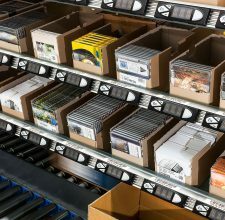 Pulling on their 70-year heritage of innovation and creativity, the business provides customers with options that meet all levels of storage and materials handling needs.